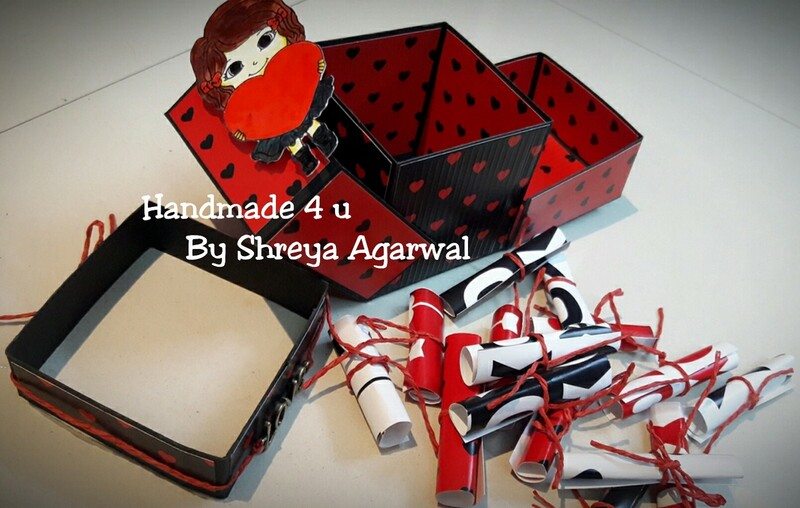 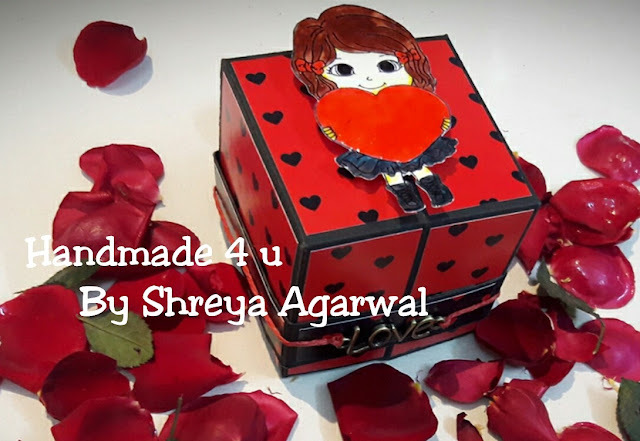 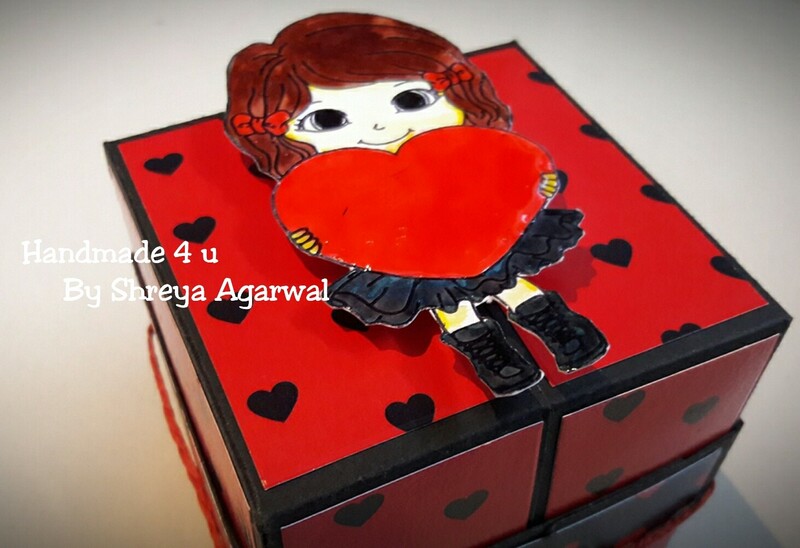 I am extremely excited to participate in this challenge initiated by Prika and so here I am with this Valentine themed cube box where lots of surprise messages gas been added on scrolled papers, you can also add some cookies and chocolates of your choice…. 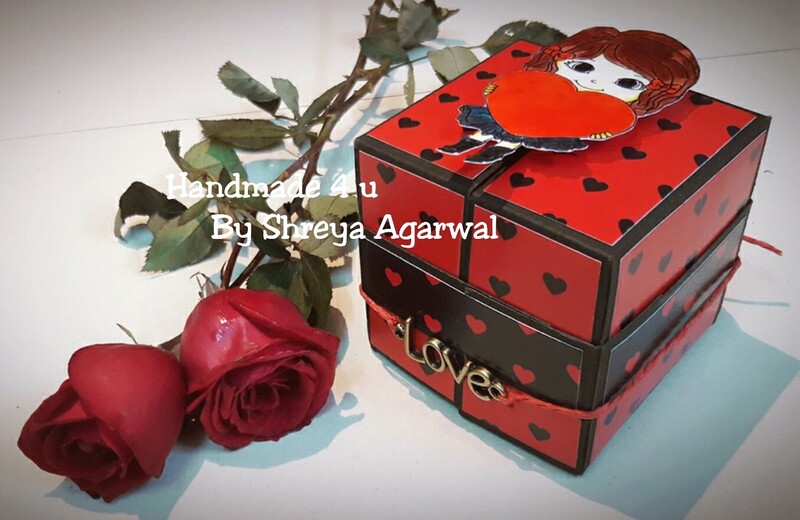 It ‘s a cute little gift for your special one. Its very simple to make ..
You can decorate as you like but to make it adorable I have used the stamp “ Be Mine “ from Crafty scrappers. Hope you will try making it soon before you get late for valentine’s celebration.